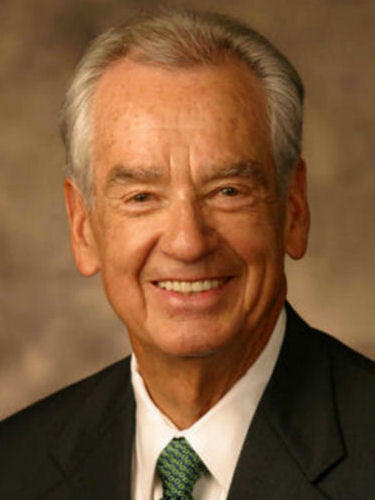 Zig Ziglar (1926 - ) has been a best-selling author and motivational speaker for the past 40 years. He blends practical realism with Christian values and a plain-spoken style. The result is home-spun wisdom and inspiration about sales, success, life and many other topics. He's one of the best-known and admired speakers of all time. On ATTITUDE - "You cannot tailor-make the situations in life but you can tailor-make the attitudes to fit those situations." On COOPERATION - "Individuals score points, but teams win games." On FLEXIBILITY - "Be firm on principle but flexible on method." On FORGIVENESS - "When you forgive somebody else you accept the responsibility for your own future." On PERSEVERANCE - "There's often no way you can look into the game of life and determine whether or not you'll get that big break tomorrow or whether it will take another week, month, year or even longer. But it will come!" A favorite Zig Ziglar video clip - on changing an attitude. Check this Zig Ziglar podcast - on forgiveness. I love Zig Ziglar...read his stuff all the time. The quotes are a great starting point...but man...actually "living" them is a skill set that is hard won sometimes.